Right now we are mixing our next release at Subsonic Society Studio here in Oslo. Our co-producers will be Anders Møller (Kåre and the Cavemen, Euroboys) and Spellemanns Pris nominated Torgeir Waldemar. We are very excited about working with these two very talented musicians and so far everything sounds great. And, we received some funding from FFUK (the Norwegian Fund for Performing Artists)! The album should be released in the spring of 2018 on Voices of Wonder Records with touring to follow. We will also release a single in the autumn of 2017. You can now find our award-winning first release, Self-Developing Country, digitally on Tidal, Spotify and iTunes by clicking here. 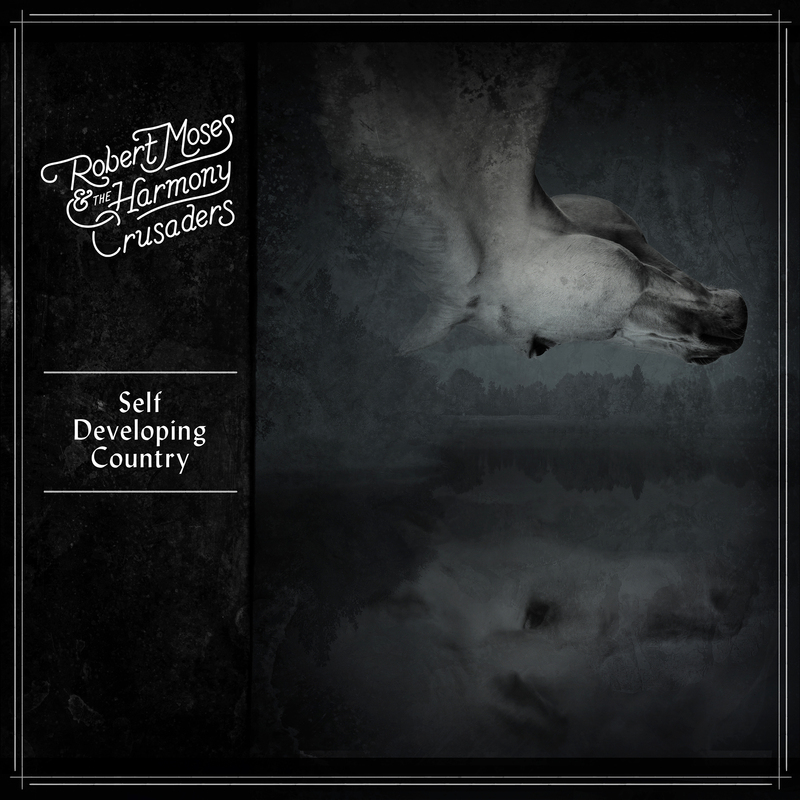 Since 2013 Robert Moses, who originally comes from Chicago, has released three singles and one album, Self-Developing Country, on Voices of Wonder Records with his band the Harmony Crusaders. The release received excellent reviews, among them a 5 in Dagbladet and a 6 from Firdaposten. The album also ended up on a number of top ten lists for 2013 including one on Dagbladet. In addition, Self-Developing Country won the award for the Best Alt. Country Album of the Year for the Independent Music Awards in the US. The band toured through Norway in 2014 and the single Take A Look at My Heart, Today was play listed on NRK Østfold and that song plus others were played on a number of stations throughout the country in addition to appearing live on local stations during the tour. At the moment Robert and the Harmony Crusaders are recording their second record at Subsonic Society/Crystal Canyon Studios with Anders Møller (Kåre and the Cavemen and Euroboys) and Spellemanns Pris nominated Torgeir Waldemar as co-producers. The album will be released in the spring of 2018 with a single out in the autumn of 2017. Members of the Harmony Crusaders play or have played with Tommy Tokyo, Midnight Choir, Sivert Høyem and Lucky Lips amongst others. Musical influences include Gram Parsons, Love, John Lennon, the Allman Brothers, Geronimo, Neil Young and the Violent Femmes. In 2013 we won an award for the Independent Music Awards in the category of Alt. Country Album! Link to winners and judges here. For the first review for the album we got a 5 out of 6 from Øyvind Rønning at Dagbladet! Read the full online, in-depth review here. Øyvind also included us in his year’s Top Ten Records for 2013. See what great company we are in here. Another great review from Firdaposten, in which we got a 6 out of 6 here. And another one from Dust of Daylight here. Excellent live review from Dust of Daylight here. You can order the album on iTunes here. And you can order both the CD and Vinyl versions at Platekompaniet here. You can also buy the CD or vinyl version from us by sending an email to info@robertmosesmusic.com and we will get it to you right away.